By far the best film I saw in Wavelengths was A Letter to Uncle Boonmee (2009) by Apichatpong Weersethakul. In a landscape of pretenders, Weersethakul is the real deal: an artist working at the leading edge of cinematic practice today. Far from keeping his audience at the formalised distance so characteristic of the avant-garde ethos, he makes full use of cinema’s ability to immerse viewers in an experience of time and place. 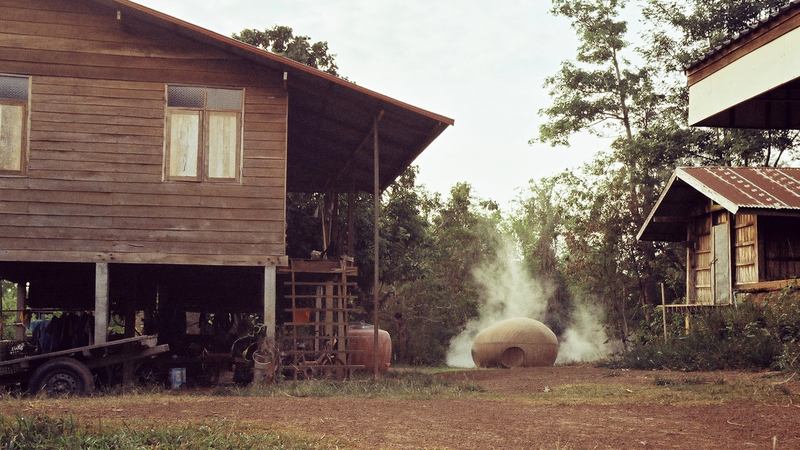 As with Weersethakul’s features, A Letter… is highly evocative of its location (in a luscious, rain-soaked Nabua in northeastern Thailand), but otherwise has little in common with conventional narrative cinema. Lacking the perspective of any view of the horizon, panoramic shots of the jungle work to create an interior space, inside of which the film situates the viewer. Matching the circular movement of the camera is the narrator’s repeat readings of the titular letter. Far from being an exercise in cinematic distanciation, Weersethakul makes believers of us all. You are currently browsing entries tagged with Klaus Lutz at Army of YouTube.